Manchester United have been drawn against Barcelona in the UEFA Champions League quarter-finals. We take a look back at the rivalry between the two titans of European football. Fans of both the clubs as well as neutrals were excited by the prospect that two heavyweights of European football will be facing each other, which will be a mouth-watering fixture to watch. Barcelona vs Manchester United is undoubtedly the most eye-catching fixture in the Last Eight stage of the UEFA Champions League this season. The two sides share a rich history and their rivalry in Europe dates back to 1984 when United faced Barcelona in a European Cup Winners Cup quarter-final. Barcelona and Manchester United have locked horns time and again and have produced some of the greatest ninety minutes of European football. Their first encounter in 1984 was an absolute thriller, when Barcelona put two goals past the Red Devils at Camp Nou and were looking clear favourites. Boasting the likes of Diego Maradona and Bernd Schuster, the Catalans looked confident to go through. However, things changed completely in the second leg. With Bryan Robson netting in each half and Frank Stapleton scoring the winner eight minutes from time, Manchester United made an astonishing comeback to oust Barcelona 3-2 on aggregate. Many veteran supporters around the Stretford End who have witnessed that night are hopeful that their team can pull off a miracle again. Manchester United are the masters of comebacks and their greatest comeback act happened in Barcelona itself. The 1999 Champions League final held in Camp Nou is a match that no Manchester United fan would ever forget. 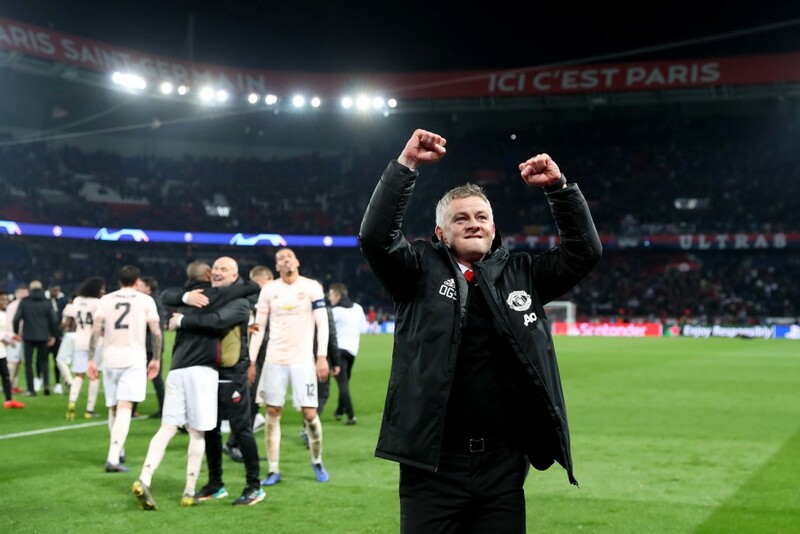 The Red Devils scored twice in injury time as goals from Teddy Sheringham and current interim manager Ole Gunnar Solksjaer fired them to the stirring triumph over Bayern Munich. The 1998-99 campaign also had a strange bonding between Manchester United and Barcelona as they were drawn with the Catalans in the group stage. Both of the clashes ended in a 3-3 draw. The beginning of the new century has seen quite some dramatic changes in world football. While Barcelona rose into the ranks of an elite European team with the magic of Lionel Messi, United, on the other hand, have lost their European charm. Manchester United got the better of Pep Guardiola’s Barcelona with a Paul Scholes 25-yard screamer knocking out the Catalans at Old Trafford in the semi-finals of the 2008 Champions League. They went on to lift the trophy that year, beating Chelsea on penalties. That was the last time United trumped Barcelona, losing the 2009 and 2011 Champions League finals to the Blaugrana in Rome and Wembley, respectively. If we interpret the upcoming quarter-final clash in terms of statistics and previous results, both the teams are quite neck-to-neck. Barcelona and Manchester United have competed eleven times in Europe with the Catalans edging past the Premier League giants with four wins to three. Three of the matches have ended in a draw. But, there is more to come. Apart from the two Champions League finals, United have maintained a pretty fair record against Barcelona in knockout stages. United’s luck against Spanish teams in the competition is poor though, as Real Madrid and Sevilla knocked them out in 2012-2013 and 2017-2018 campaigns, respectively. Barcelona, on the other hand, boast a pretty good record against English teams. Since their elimination in 2011-12 semi-finals by Chelsea, Barcelona have progressed against all four English opponents thereafter. Last season, they decimated Chelsea 4-1 on aggregate in the Round of 16. Manchester United made a dramatic second leg comeback in Paris as goals from Romelu Lukaku and Marcus Rashford sealed a 3-1 victory at Parc Des Princes. United overturned a 2-0 deficit from the first leg where Kylian Mbappe and Presnel Kimpembe gave the Parisian outfit a solid chance to qualify to the quarters. Barcelona, on the other hand, were held to a goalless draw by Lyon in France before they completed a 5-1 rout of the French club in Camp Nou in the second leg. Manchester United have shown what it takes to hold the nerves to play in a European night as they will be looking to haunt Barcelona from the confidence they have gained from the previous round. Paul Pogba, Jesse Lingard and Anthony Martial will return from injury/suspension to face the Catalan giants, which is another positive. Ole Gunnar Solskjaer’s men have the zeal to play attractive football, but they will need much more to stop the colossal Barcelona with Lionel Messi up front. Although possessing enough quality to be excellent in the attacking half, United’s defensive worries have continued throughout the season. Solskjaer needs to sit down and chalk out the defensive duties of each player in the back four for they will be having a gargantuan task to stop Messi & co. for 180 minutes. Ernesto Valverde, on the other hand, will be working out ways for his forwards to exploit the weak links in the Manchester United defence. The quarter-final fixture might be the time ace striker, Luis Suarez finds his missing goalscoring boots in Europe. The Uruguayan has not scored a single goal in the Champions League this season. When the two European elites clash next month, football fans will be assured of the fact that they will be experiencing a scintillating clash between the best of best. 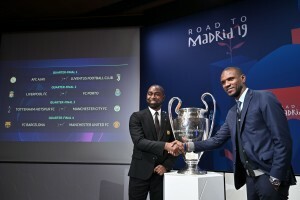 Both Solksjaer and Valverde have admitted that these are the matches that define the Champions League and its greatness, and it will be interesting to see which side prevails in the end.